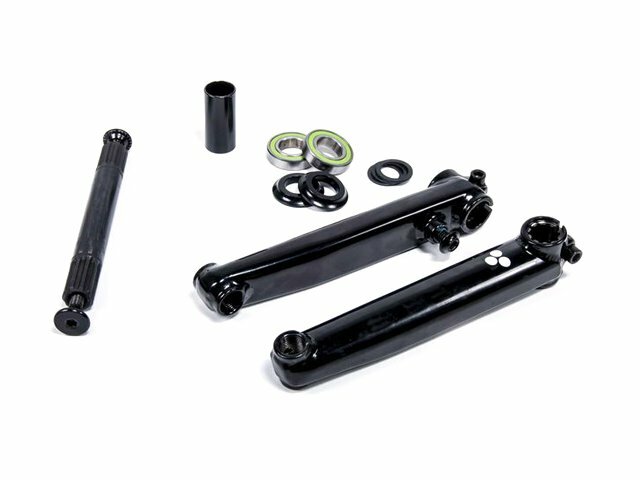 The Trebol BMX Crank is an easy to install 3 pc. 19mm crank made of heat treated 4130 CrMo. It's like any Trebol parts a price reduced alternative to the high end Flybikeparts. It has 175mm crankarms and a 8 spline spindle and even a set of Spanish-BB includet! The Trebol BMX Crank and is a nice crankset for a nice price!